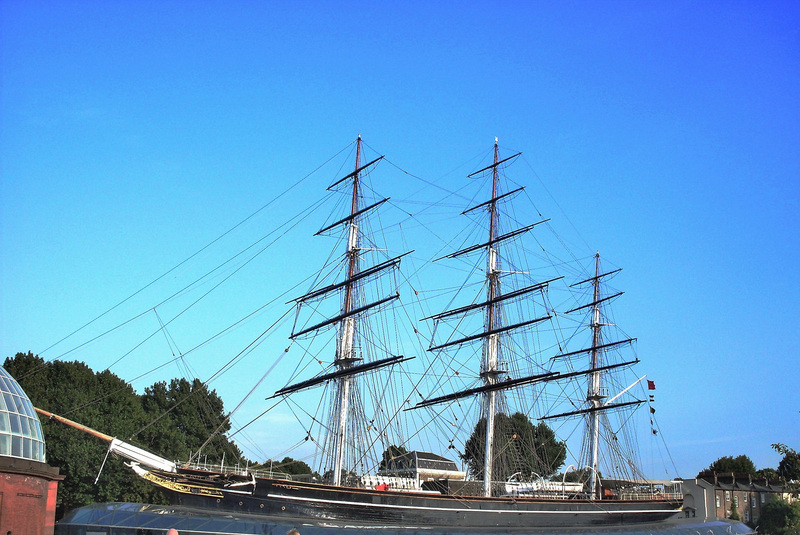 The Cutty Sark is now on show at Greenwich (London,UK). It is the last remaining example of the great Tea Clippers. For more information about the exhibit please click here. The first of each tea harvest from China to Europe was of great commercial value. These ships were built for that purpose, using a narrow hull and powerful rig. Built for speed rather than large cargo. For more of that history please click here. 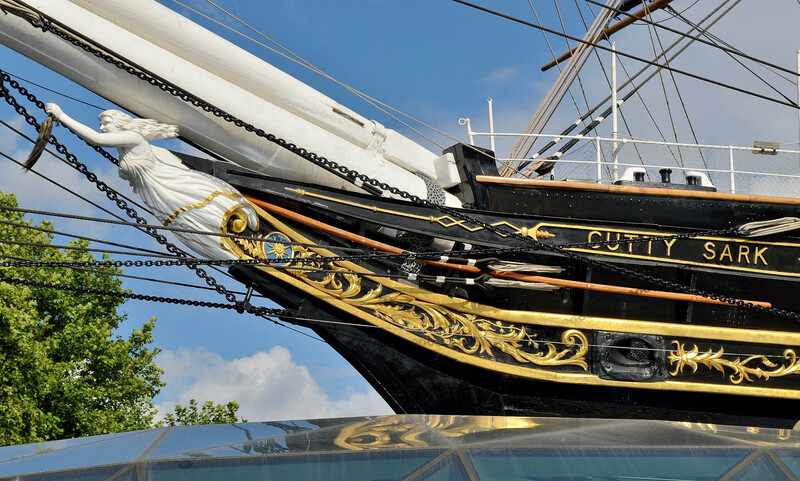 The Cutty Sark was recognised as the foremost in its class even though it never quite won the Great Tea Race. 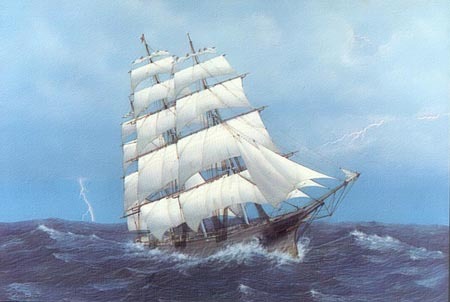 This is another Clipper Ship, Lightning under full sail. Ships like these and their crews advanced the knowledge of construction, navigation and seamanship. Altogether making travel by sea a lot safer than it used to be. It was once the most hazardous of all occupations. By contrast, going to sea has now become a pleasure to many. An important principle still remains for all such potentially hazardous occupations. That is, the development of good habit. Often inconvenient in good weather but a vital life safer when wet, cold, tired, in the dark, confused and disoriented. Such vessels do not remain in service and their builders and brave crews are no longer with us. But, the advances that they made remain. Those ships and their crews may not still roll, but because of their legacy, they still rock. This entry was posted on May 10, 2014 by Graham in Hats. It was filed under East London, Photography, Places to Visit, Travel, uk and was tagged with Clipper Ships, Cutty Sark, Greenwich, History of the Sea, london, photographs, pictures, Sailing Ships, Square Riggers, the cutty sark. Thank you. Encouragement is alway welcome. I just think it’s amazing that humans built these magnificent ships and sailed around the world in them and without all the technology we have today like GPS.